The new Lumia 820, together with the flagship Lumia 920, marks the start of a brave new era for Microsoft and, crucially, Nokia. 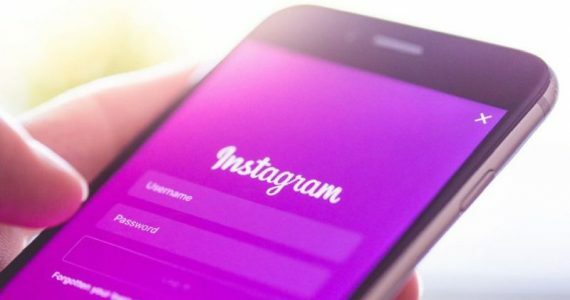 Having bet the entire company’s future on Microsoft’s Windows Phone platform, it is important that Windows Phone 8 offers a competitive alternative to the big two in the market today. Perhaps, it is for this reason that the Lumia 820 has the same set of hardware that powers the Lumia 920, but is priced considerably lower. Having spent some time with the Lumia 820 (and a little with the Lumia 920 for comparison’s sake), is the Lumia 820 a more practical purchase for the budget-minded consumer looking to try out Microsoft’s latest mobile OS? 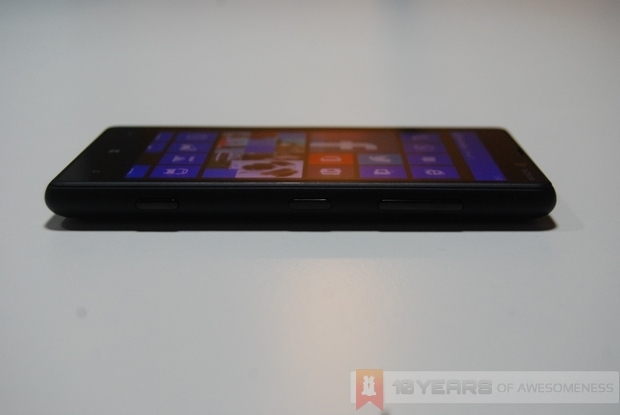 Is Windows Phone 8 all that it is hyped up to be? All this and more after the break. Perhaps it wasn’t the best that I had my hands on the Lumia 920 first before the 820. 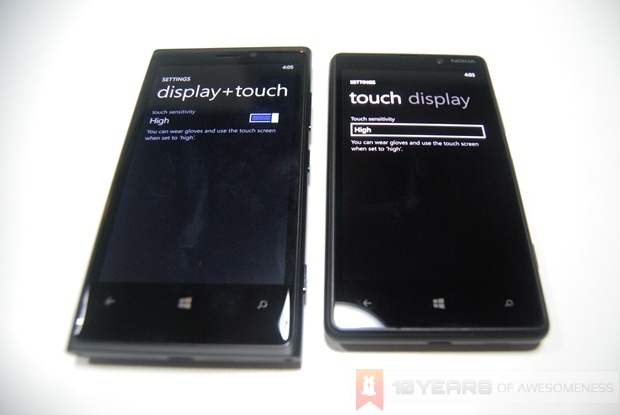 Unlike the 920’s characteristic design language, the 820 does not share the same aesthetics as the flagship 920 and the previous flagship before it, the Lumia 900. 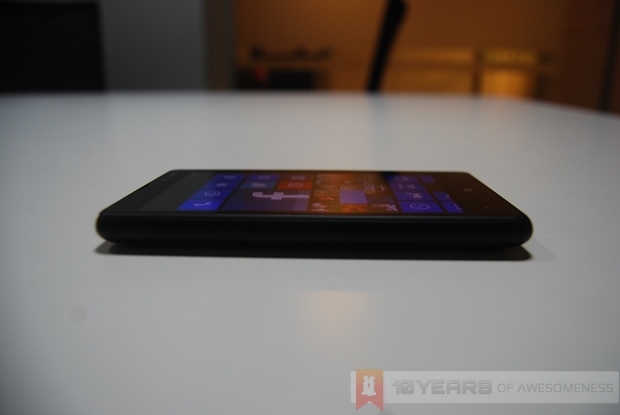 The Lumia 820, in comparison, is rather unspectacular in its design. It isn’t thin, it isn’t light, and there is nothing outstanding about the matte black colourway either. Don’t let that fool you, however. 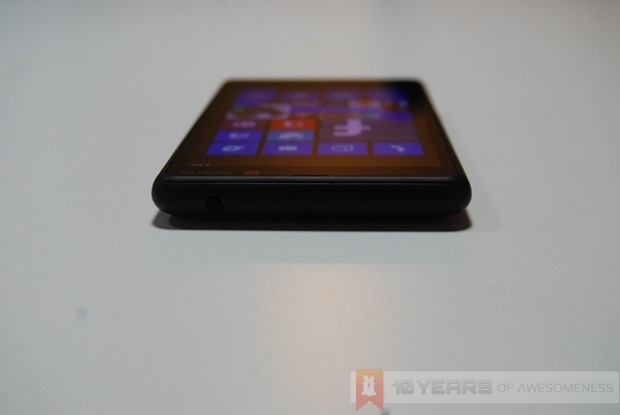 The rounded edges and matte plastic cover makes the Lumia 820 very comfortable on the hands. 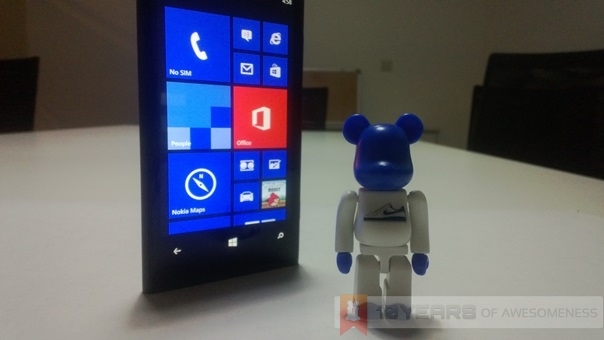 The 4.3-inch screen and generally smaller footprint also mean that the Lumia 820 has no problems fitting into any pants pocket. 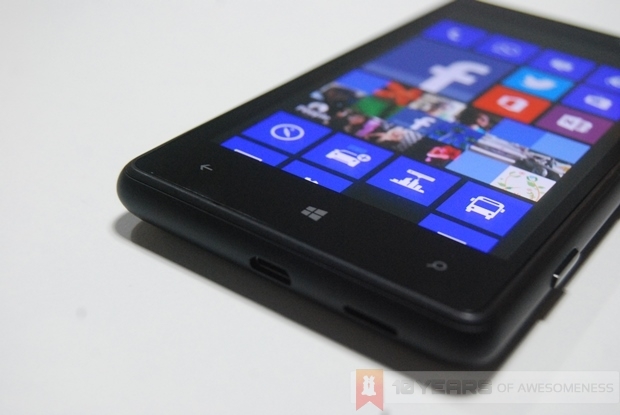 As mentioned, the Lumia 820 has a 4.3-inch AMOLED screen with ClearBlack Display technology. 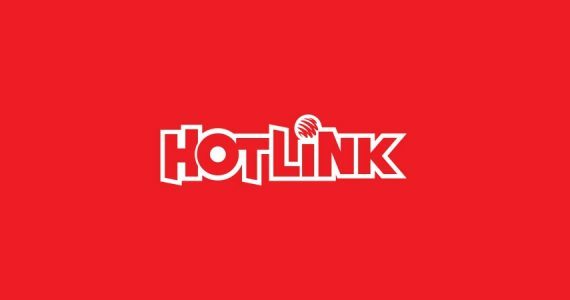 Inside, there is a 1.5GHz dual-core Qualcomm Snapdragon S4 processor paired with 1GB of RAM – the same chipset that can be found in the Lumia 920 as well as the WP8 flagship from HTC, the HTC 8X. 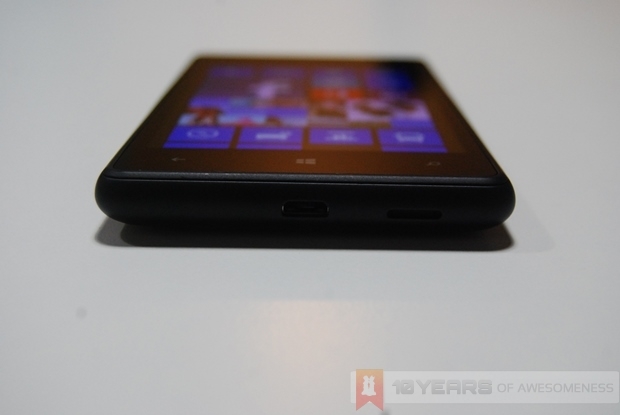 The Lumia 820 also has 8GB of internal storage, but thankfully it also has a microSD card slot that supports up to 32GB cards. In addition, Microsoft also bundles each WP8 device with 7GB of free SkyDrive cloud storage. 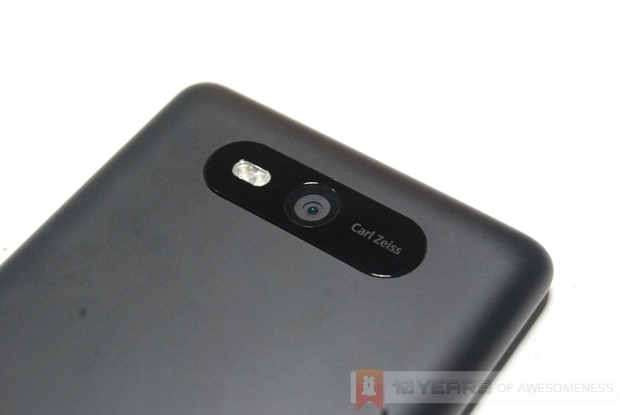 Also, the Lumia 820 sports an 8MP rear camera with Carl Zeiss lens. Unfortunately, the PureView branding does not appear here as the Optical Image Stabilisation (OIS) feature is only limited to the 8.7MP module on the Lumia 920. In front, the Lumia 820 only has a VGA front-facing camera. One unique feature on the Lumia 820 is the new interchangeable back covers (or shells, as Nokia would like them to be called). These shells not only add a variety of new colours to accessorize your Lumia with, but also adds different functionality to the device, as the Wireless Charging Shell for the Lumia 820 clearly demonstrates. 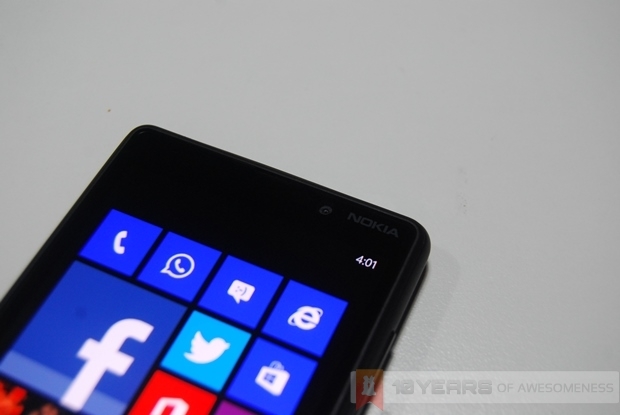 Finally, it must be noted that the Lumia 820 is one of an increasing number of smartphones that will support Malaysia’s 4G LTE spectrum when it rolls out in full force this year. 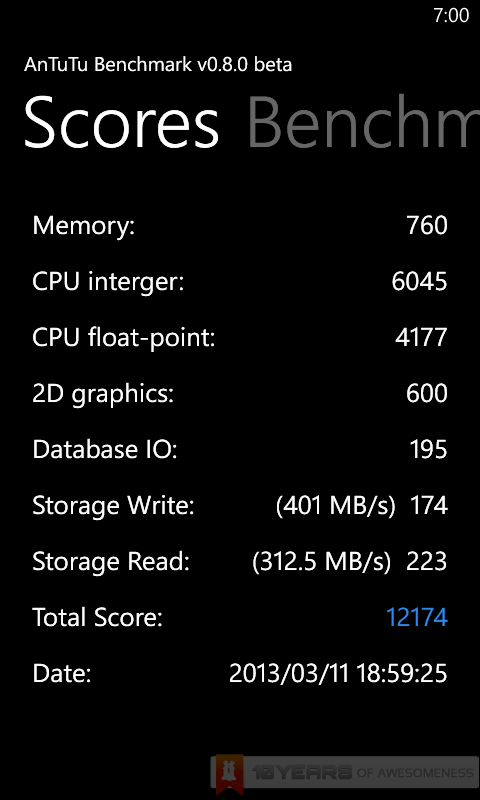 Given that the Lumia 820 uses the same dual-core Snapdragon S4 processor as the flagship Lumia 920, their benchmark scores should be somewhat similar. 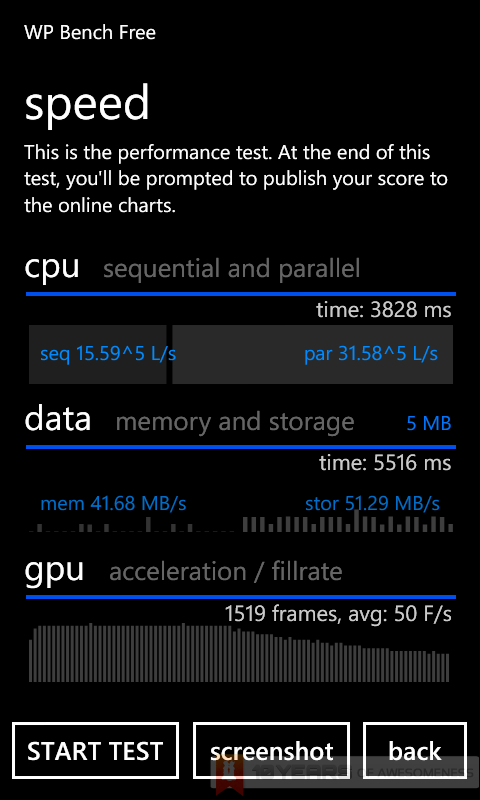 We tested the Lumia 820 with two benchmarking apps: WP Bench as well as Antutu Benchmark, and the scores are as below. At the time, Windows Phone 8 was supposed to be the next-gen platform that would grab third place in the mobile OS race, and finally erase the mistakes that were made from Windows Mobile and, to a greater extent, Windows Phone 7. 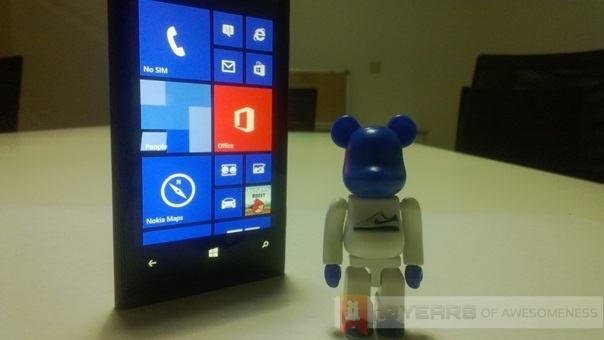 This Roman Abramovich-like obsession seems to gain some traction upon the official release, with many critics praising the new additions and features that make WP8 a significant improvement over WP7. Unfortunately, as many also later realised, for the most part WP8 only played catch-up to the features that iOS and Android already have, such as support for mass storage and higher resolution screens being among the major ones. On the other hand, WP8’s tight social integration is still one of the most powerful around, as is the increasing synergy between WP8, Windows 8 as well as XBOX Live. The addition of Rooms and Kid’s Corner also open up plenty of creative uses for both features. Nevertheless, after a short period on both the Lumia 920 and 820, an old annoyance from WP7 reared its ugly head once more. As many will remember, Windows Phone 7 (and 8 – at least until the Portico update finally makes its way here this month) cuts off the WiFi connection when the screen switches off or when the user locks the phone, and forces the phone to switch to mobile data. 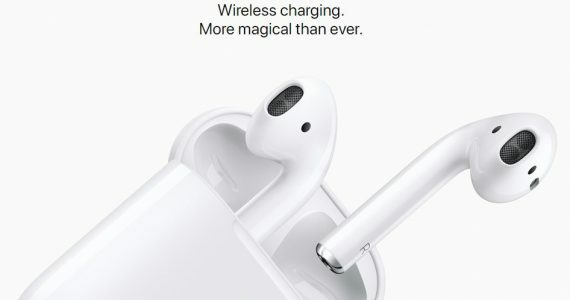 Microsoft argues that this is so that battery life is conserved – which is fundamentally incorrect, to say the least. 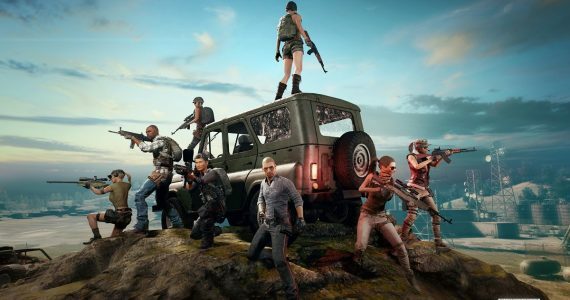 Not only will switching to mobile data increase battery life, all active downloads will also either be canceled or continue to download via mobile data – potentially suicidal for those on low data quotas. Forget the fact that an OTA update will fix it: it shouldn’t need to be fixed in the first place. On another hand, WP8 also brings support for NFC via its Tap + Send feature. 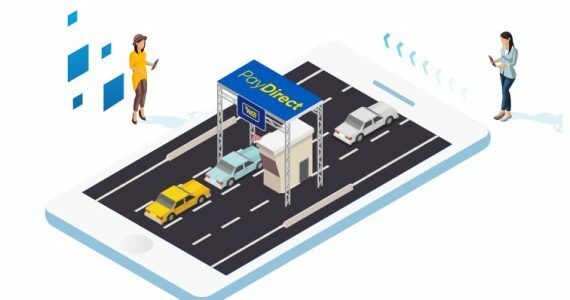 Just like Android Beam, users can send various types of files to other NFC-equipped devices by simply tapping their devices together. Given that we had several NFC phones running on various platforms from Android to MeeGo, we did an impromptu NFC sharing test – fully expecting files to easily transfer between devices. Interestingly, while images and music files transferred without a hitch between WP8 devices, we could not manage to transfer anything between WP8 and non-WP8 devices, while an Android phone had no issues sending and receiving images from a Nokia N9. The Lumia 820, with its rather economical 1650mAh battery, held up well through a normal day at work. 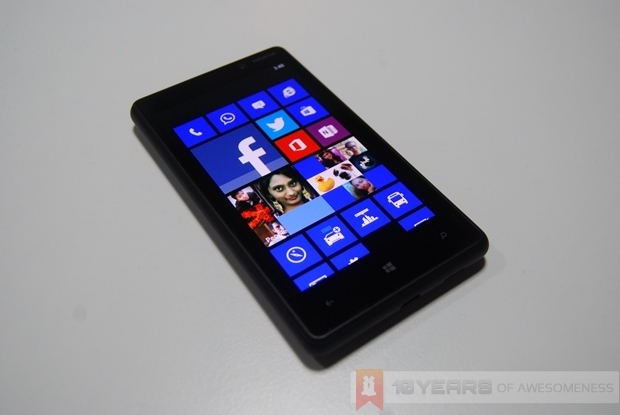 On average, the Lumia 820 was able to last just about a day’s worth of use, with the major usage being on social networking and emails. 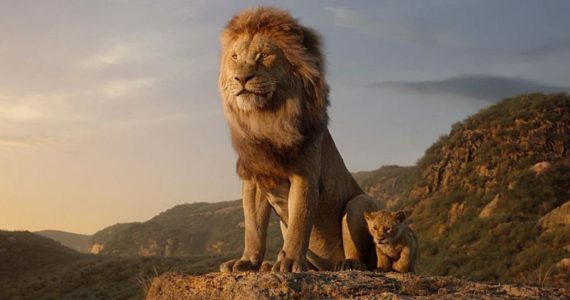 It must be said, however, that the cutting off of WiFi connectivity when the phone is locked can result in moments when new emails or WhatsApp messages are not received in time due to poor mobile connections and, naturally, lower battery life. 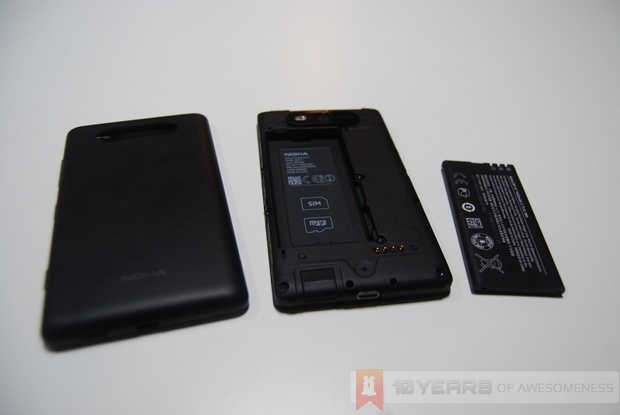 Luckily, the interchangeable back covers mean that the battery of the Lumia 820 can also be replaced. The Lumia 820, unlike the IPS screen on the flagship 920, features an AMOLED screen with the ClearBlack polarization filter for increased visibility under sunlight. AMOLED screens are also inherently brighter than IPS types, and Nokia’s also added the Sunlight Readability enhancements, which makes the Lumia 820’s screen actually pretty good. However, the screen technology is massively let down by Nokia’s decision to set a screen resolution of only 480 x 800 on the Lumia 820. 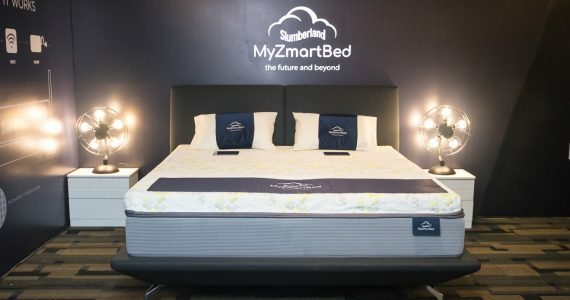 While high specs have always been the domain of Android devices, it is almost criminal to equip a smartphone originally priced at RM1599 with a screen with a resolution that low. 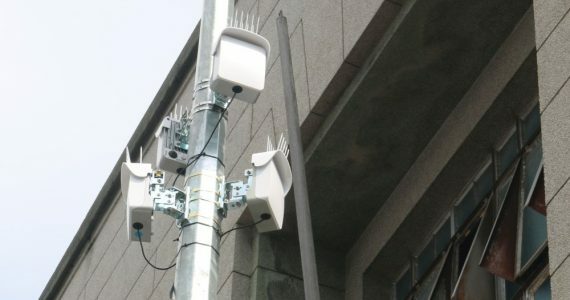 It is not immediately obvious when scrolling through the Live Tiles, but the low resolution becomes an issue when playing videos as well as browsing the web. On the other hand, the Super Sensitive touch feature on the Lumia 920 is also present on the Lumia 820. Super Sensitive Touch enables users to use their Lumia 820s even when wearing gloves. Audio output on the Lumia 820 is surprisingly loud. The speaker’s position at the bottom of the phone (as opposed to the back, for example) means that the sounds are difficult to be muffled. Unfortunately, as with all mono speakers, loudness does not equal to quality audio output. A standard pop-rock song breaks at higher pitches, and bass is non-existent. On lower volume levels the Lumia 820 does produce better quality audio, but users are probably better off using the bundled headphones, which is actually not too shabby. 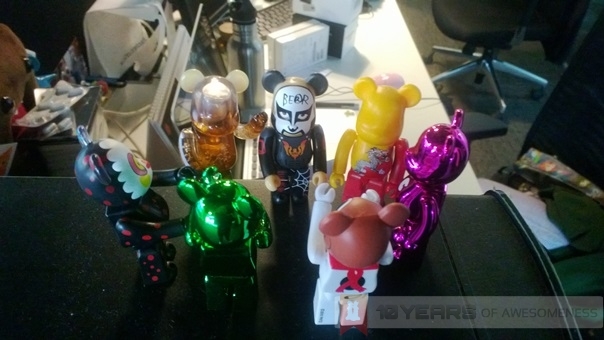 One of the noticeable omissions from the Lumia 820 is the PureView camera. It isn’t surprising, given that Nokia is using the PureView branding only for its flagship devices. 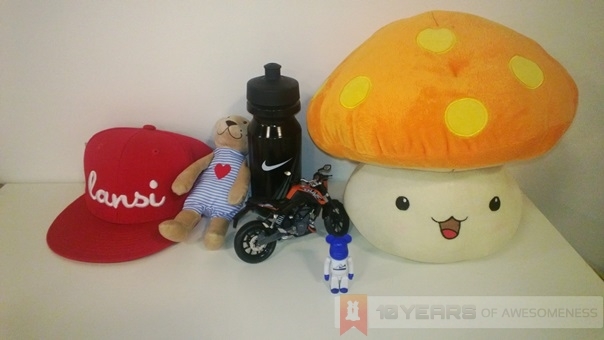 However, the Lumia 820 still retains the Carl Zeiss lenses, which should provide images with above average quality. Unfortunately, the camera on the Lumia 820 seems to struggle a bit with white balance, especially under fluorescent lighting. Actually, it performs underwhelmingly indoors under other lighting conditions as well. 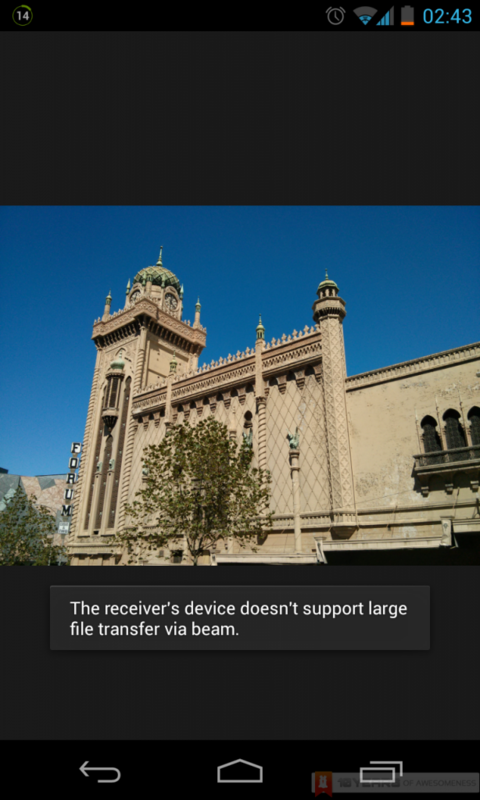 Images consistently appear washed out, and usually grainy despite the tap-to-capture feature on Windows Phone 8. It must be noted, however, that the camera performs considerably better in outdoor conditions. What was also good is the camera interface on the Lumia 820, and by extension, Windows Phone 8’s in general. Tap-to-capture and Lenses, which integrates third-party camera apps such as Photosynth, are valuable additions to WP8 cameras, while the uncluttered camera UI is also a big plus. However, possibly the best feature about the camera UI is the ability to quickly browse through the image gallery via a simple swipe to the right. It is highly intuitive, and one WP8 feature that I appreciate the most. Interestingly, Android also added this feature to its camera UI for Nexus devices, but involves a swipe to the opposite direction. Given the small amount of WP8 devices available here in Malaysia, the Lumia 820 is in a unique position of not having a WP8 competitor at its price point. The Samsung Ativ S is not in the Malaysian market, while the HTC 8S and Lumia 620 are both priced at a significantly lower price point (RM 899 and RM799 respectively) and the HTC 8X is a flagship device that costs RM200 more than the Lumia 820. 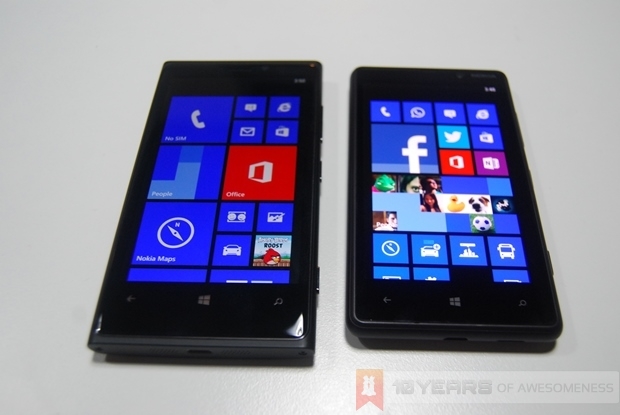 Recently, Nokia has dropped the RRP of the Lumia 820 to RM1399, in anticipation of the new Lumia 720 and 520 – both of which has not been announced on this side of the world just yet. The Lumia 820 shares the same powerful chipset as the flagship Lumia 920, but makes other hardware-related sacrifices along the way, such as the PureView camera. On the other hand, Microsoft has repeatedly stated that Windows Phone 8 provides a consistent user experience for all levels of hardware. Hence, would anyone fork out an additional RM700 (RM500 after the recent price reduction) for the Lumia 820 over a Lumia 620, which was announced a mere two months after the 820? The screen is not much bigger than the 620’s (4.3 vs 3.8 inches) and WP8 does indeed perform similarly on the slower-clocked processor in the Lumia 620 (watch out for our Lumia 620 coverage soon!). On the other hand, if someone wanted a powerful camera in their Windows Phone, they would have gone for the Lumia 920 in a heartbeat. The HTC 8X also has an arguably better camera (again, watch this space for our WP8 devices coverage coming soon). Ultimately, like many of its brethren in the mid-range segment of devices, it is hard to justify a purchase for the Lumia 820, particularly when a significantly cheaper device performs similarly and the flagship being light years ahead. While the Lumia 920 is nothing like the previous flagship, the Lumia 820 appears to be nothing more than a slight improvement over the Lumia 800, while charging users an arm and a leg in the process.